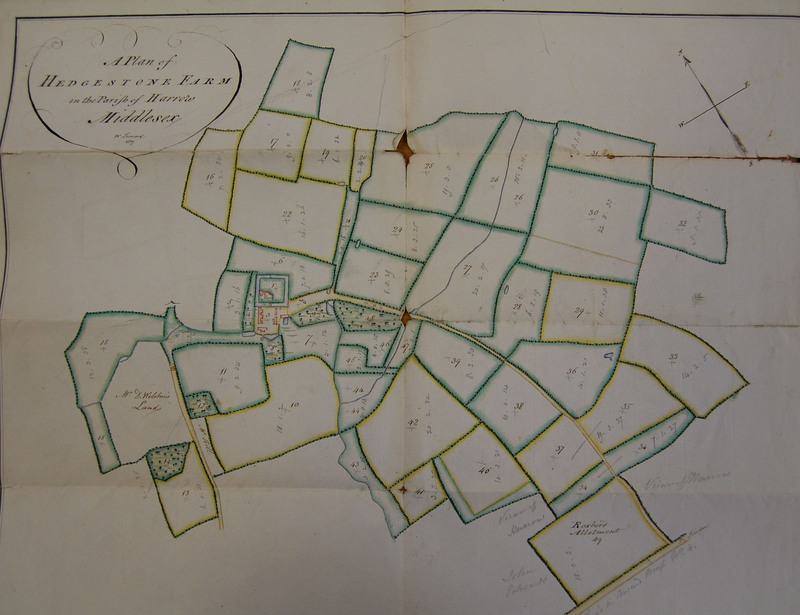 This plan is contained within records held by Hertfordshire Archives relating to the Oxhey estate, the property of the Bucknall and Estcourt families, 1670-1888. The Estcourt family were known to be living at Shipton Moyne, Gloucestershire from 1303. Walter de la Estcourt held half the fee of the manor of Estcourt. Since that date the size of the family estates increased enormously. I wonder how far into Hatch End and maybe how near to Carpenders Park?